Oskar the economist now has a big brother! 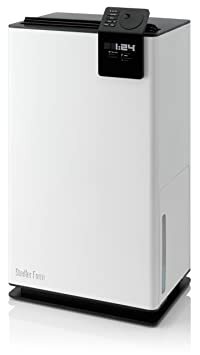 Thanks to its unique V4 filter technology, the powerful humidifier is the ideal choice for large rooms up to 650 square feet. With his 1.5 gallon water tank, Oskar Big is one of the largest in his class. The memo function reminds you to replace the filter and because of the night mode, he works almost unnoticed. With his maximum power consumption of 32, Oskar Big is also a great economist. Material: abs plastic. Dimensions: 18.6″L x 7.9″W x 11.5″H Weight: 8.6 lbs. This sleek air humidifier invades your home with its smooth design. Fred lands on solidly steel weighted tripod legs. Available in spaceship silver. The steam from this air humidifier is hot and clean – free of minerals and bacteria. Fred is a friendly invader ready to help you and your home furnishings during the dry air seasons. Anna raises the temperature! Not just because of her hot looks, but mainly because this wonderful little heater is equipped with a modern PTC ceramic heating element. Anna heats discreetly and quietly with two power levels, bringing agreeable warmth. But the clever heater also stands for safety in two respects: no overheating thanks to the PTC heating element (self-regulating ceramic) and automatic shut-off thanks to integrated tilt protection. If additional warmth is needed in certain places (e.g. under the desk) or in a small space, Anna Little is also “hot” enough. 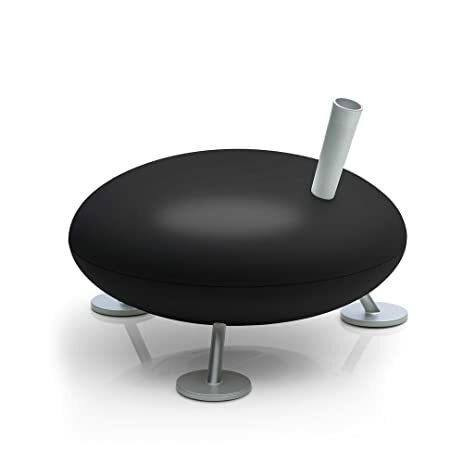 Oskar- Designed by Matti Walker for Stadler Form- marries science and art, function and ease. 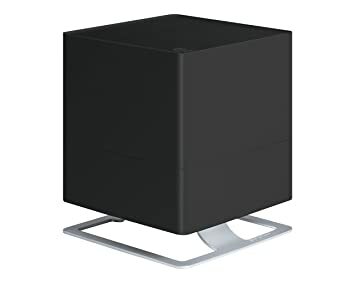 He is an evaporative humidifier- reminiscent of a contemporary sculpture- efficiently and naturally hydrating your space. 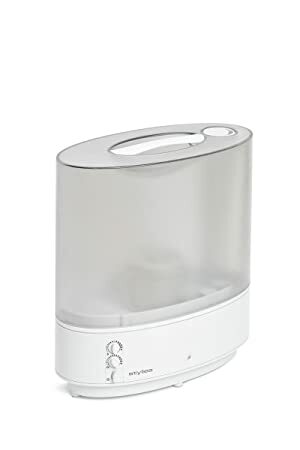 While most evaporative humidifiers emit bacteria-laden vapor into the air, worsening allergies or other respiratory issues, Oskar utilizes the patented Water Cube, preventing the growth of mold and bacteria in the water reservoir, in sync with biodegradable, antibacterial wick filters to release just the right amount of an elusive, purified moisture. An integrated hygrostat meticulously monitors your indoor climate, promising never to over-humidify. With a water level window and pocket door cleverly hidden on his side, Oskar is easy to refill with a glass of water or watering can, alleviating the common strain of fitting a bulky unit beneath a water faucet. Whether he is lounging comfortably on the floor in your living room or on a dresser in your bedroom, Oskar draws you in, giving you a moment to pause and wonder as you would before any other masterful work of art. Breathe easy. Give yourself the atmosphere you deserve. Though a necessity in damp environments, the typical dehumidifier disrupts the continuity of a common space, often harboring disdain. Albert- designed by matti Walker for Stadler Form- is atypical. Blending pleasing aesthetics and efficiency, Albert emanates class characterized by his two-tone, sleek case and rounded edges, beautifully blending into contemporary or traditional spaces alike. 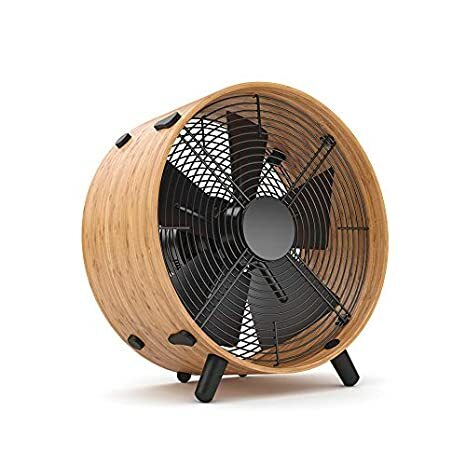 Cleverly hiding such features as caster wheels, a 1.2 gallon side-loading tank with pop-up handle, and automated air vent, Albert removes up to 5.4 gallons of moisture per day without producing a sound above a whisper, ultimately creating an inviting space where you can breathe deeply and relax. Web exclusive! 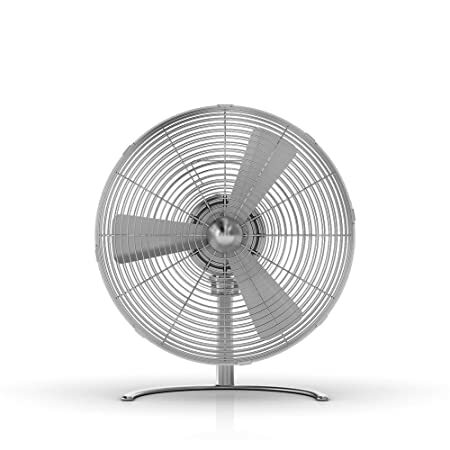 True innovation means doing things differently – like the “Charly Little” fan from Stadler Form. Rather than using a conventional 4-blade design, this fan breaks tradition with a trio of blades that work like an airplane propeller to create a powerful current. “Charly Little” pushes an impressive 85,000 cubic feet of air per hour, and with its stylish design by Matti Walker, looks good doing it. Small in stature, but huge in performance – that’s Anton! Even if it is easily overlooked because of its diminutive size, rooms of up to 250 sq ft pose no challenge to Anton. 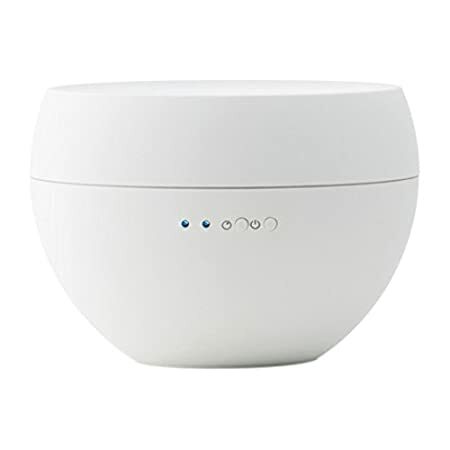 He is an ultrasonic humidifier made of resistant materials and even capable of perfectly distributing the fragrance of your preferred scented oil throughout the room. 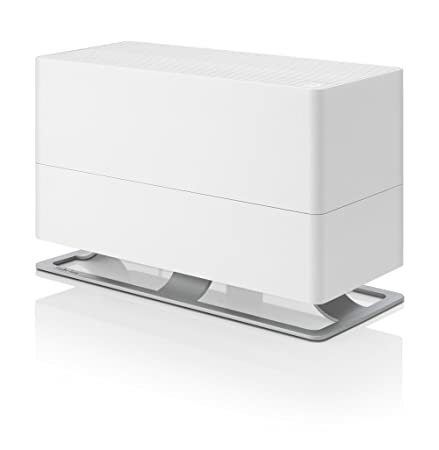 Equipped with an anti-calcium cartridge and Ionic Silver Cube, Anton will not leave the white powdery film produced by other humidifiers and keep the water clean and pure. Elegance and easy operation are maintained by control buttons located out of sight on the underside. Easy readability of the water level is indicated by the stylishly designed LED indicator lights which switch from blue to red when the tank is empty. 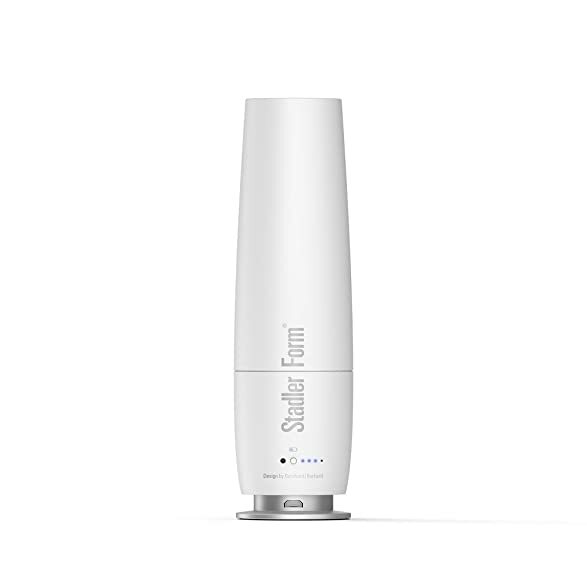 Designed by Fabian Zimmerman for Stadler Form, Jasmine, an ultrasonic aroma diffuser, transforms what seems mundane, ordinary- a bit of water, a few drops of Essential oil- into an invitation, riddled with Stillness and intrigue. Sitting coyly on the bedside table or at the corner of your desk, Jasmine beckons you to slow down a moment, observe her smooth lines, her unassuming shape, her glossy feel, and breathe in deeply-a gentle stream of fragrance. Elevate your senses, choosing the pure Essential oil best suited as a homeopathic remedy or for aromatherapy, meeting your needs in a well-balanced space every minute of the day.